Bad meetings destroy good organizations. Bad meetings sap momentum and motivation. Bad meetings cultivate feelings of inefficacy and futility. Bad meetings are very bad. We’ve witnessed the impact of the Action Meeting with teams of senior executives working through enterprise-level topics and frontline teams figuring out how to deliver to the customer — and everywhere in between. If you have a team that has a mission that’s going to take longer than a day or two to accomplish then you have an opportunity to practice and perfect this meeting type. Before we get into the nitty gritty of how to run an Action Meeting, it’s useful to know the principles that undergird it. Some of these are probably radically different from how your organization normally does things, so take a few minutes to let them sink in before taking action. One of the pitfalls of most corporate meetings is that they try to be all things to all people. One meeting will lurch between status updates, brainstorming, working sessions, and large strategic discussions with very little rhyme or reason. However, the most effective meetings have a clear purpose and a process designed to achieve that purpose. The Action Meeting’s purpose is to articulate and unblock the work of the team — and that’s why the meeting is designed the way it is. It’s not designed for diving deep on one topic or having a working session. Its goal is for everyone to walk out of the room feeling clear about the status of the team’s projects, knowing the next actions they have personally committed to, and the next actions their colleagues have committed to. An Action Meeting is comprised of distinct phases (which you’ll learn more about below). Each phase of the meeting has a specific purpose and when taken as a whole they allow a team to efficiently prime itself to have a positive meeting, develop the right habits, get up to date on the state of the work within the team, unblock stuck work, and ultimately leave the meeting feeling clear and energized for the week ahead. To help the team adhere to these phases every Action Meeting always has a Facilitator and a Scribe. These are roles that team members generally take turns filling. The Facilitator guides the team through the structure of the meeting and redirects conversation and attention when it ventures outside the guardrails of the structure. The Scribe publicly captures decisions and “next actions” (on a whiteboard or in shared software) that are discussed during the meeting. By offloading this responsibility to the Scribe, the other members of the meeting don’t have to worry about capturing action items and there is one shared source of truth about what everyone agreed to do. If a meeting exists solely because a leader finds it useful then you should be incredibly circumspect about whether that meeting should continue in its current form. Leaders don’t own meetings, teams do, and Action Meetings embody this ethos. That means the meeting always starts on time, regardless of whether the leader is there. It means that the meeting can happen even when there isn’t full attendance (including if the leader is not present). It means the leader of the team isn’t necessarily the facilitator and no one person owns the agenda. Ultimately, whether or not the meeting is useful and successful falls to the entire team and not just the highest paid person in the room. Meetings are filled with good intentions. Decisions are made (supposedly) and next steps are articulated. In the moment it all feels good and straightforward and simple. How many times, though, have you left a meeting where the post-meeting email listed you as taking on some next steps that you don’t remember agreeing to? Or you go to double check something your colleague said they’d do and you realize what you thought they were agreeing to do was not at all what they thought they were agreeing to do. The Scribe role is in charge of making sure next actions get captured (whiteboard, text document projected on a wall, shared Trello board, etc.) and that the folks it pertains to agree that it is accurately portrayed. No more walking out of meetings with multiple ideas (or no idea) about who is going to do what. One source of truth! Now that you’ve gotten a sense of the principles of the meeting, let’s talk about how to actually do one. Checking-in gives you a chance to catch your breath and get your attention centered on the task at hand — this meeting. Rushing from meeting to meeting all day long? Check-In to help your brain transition from one meeting to another. Feel like you don’t really know the other people in the room with you? Check-in to get to know each other slowly over time. We’ve found that something as simple and easy as asking a Check-In question can really change the character or feeling of a meeting. To do it, the Facilitator poses a question and then everyone answers it individually. We like doing it in a round, instead of popcorn style and generally ask the Facilitator to prevent cross-talk. Need some questions? Our go-to default is, “What has your attention right now?” Other good ones include, “Tell us about the last time you were really excited about something,” and “What’s the best piece of media you’ve consumed in the past week?” The options are endless and it can be fun to rotate the responsibility of bringing a check-in question throughout the team. 1. Need some questions? Here’s 25 good ones. The book Group Glue has some good ones, too. 2. Try rotating the responsibility of bringing a Check-In question. 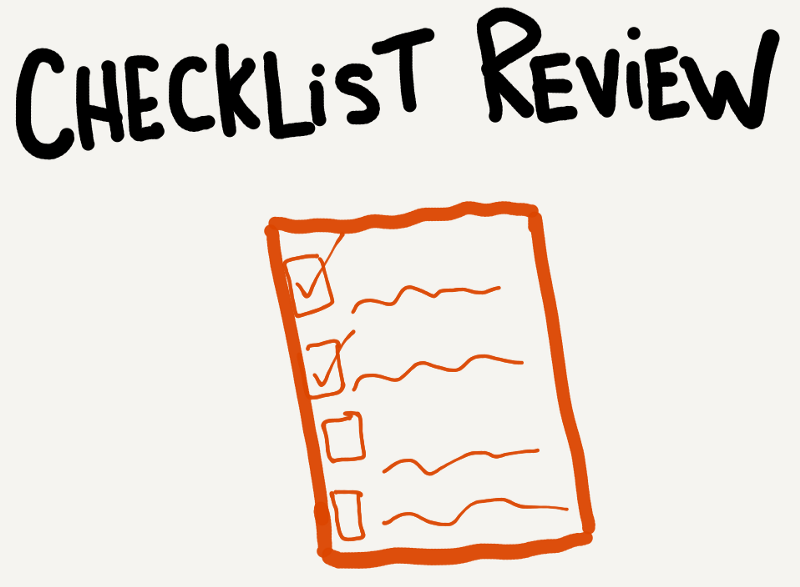 Your Checklist Review will help your team build good habits. Anybody who has set a New Year’s Resolution only to watch it fade away by March knows how hard it is to change habits. The only way to do it is to keep those commitments front and center so as to not forget what you’re trying to do. It works the same way for teams. Enter the Checklist Review. Teams should create a handful of questions they want to ask themselves during this phase of the meeting. Often, these are questions that prompt team members to ask themselves whether they’re doing the things they know they should be doing, but likely aren’t. A practical source for good Checklist items are your organization or team’s strategy. What habits does your team need to develop in order to make your strategy come alive? Checklist items are not meant to be overly precious and team members should feel comfortable proposing adding new ones or removing ones that no longer serve a purpose. During this phase of the meeting the Facilitator will ask each person on the team each of the questions on the list and the team members will respond “Yes,” or “No.” This isn’t about being tracked or tracking others. Nobody is writing down who said yes and who said no. This is about identifying how you’re doing as a team and figuring out how you can support each other. Grounding yourself in the latest data relevant to your team helps you make good decisions. Every team has certain metrics that will tell them how they are doing. Chances are they aren’t the “official” metrics that get tabulated on a relatively infrequent basis and reported up the ladder. Instead, each team should have a short list of metrics that they look at regularly to gauge whether or not they are headed in the right direction. Ultimately, these are numbers that the team not the leader, should care about tracking and looking at regularly. During this phase of the meeting the Scribe pulls up a shared spreadsheet or dashboard and the folks who are responsible for updating each metric give a brief description of this week’s number. 1. Fill out metrics in a shared document/repository before the meeting starts. 2. Assign folks to fill out metrics each week. Note, this isn’t to say this person is in charge of this metric, just that they are going to update the number. The team owns all metrics. 3. Don’t get bogged down in arguing about which metrics are worth tracking. If somebody thinks a metric might be worth tracking and it doesn’t take a ton of work to get an updated number regularly, track it and see if it’s useful. You can always stop tracking it later. Project Updates allow the whole team to get a quick snapshot of what has changed in the past week. The fundamental unit of work at the team level is the “project.” We use a pretty general definition of a project: any work that is going to take more than one “working session” to complete and is useful for the rest of the team to be aware of. Keeping a complete list of projects ensures that we have a “stake in the ground” so nothing falls through the cracks. We use this part of the meeting for everyone who has insights into a project to give the rest of the team a quick look into what has happened in the past week. Doing this every week encourages the team to think of their work as seven day sprints. It forces people to break down their projects into smaller steps in order to have something to share each week. At the end of this phase we now have a complete sense of the work that has happened in the past week and people undoubtedly have questions or want to dive deeper into something they just heard someone say during the Project Updates. Hold that thought… because that brings us to the next phase of the meeting. 2. It’s best to have one person attached to each project. Not because they are working on it alone but because they will be who the Facilitator turns to ask, “What has changed in the past week?” It’s okay for teammates to chime in if they have relevant information but the Facilitator is not going to let a general conversation about the project happen at this time. 3. Your team’s Project List should be visible to everyone and brought to each meeting. We like storing ours in a Trello board. Building an agenda in the moment, together, ensures the most urgent topics are discussed and everyone gets what they need to move forward with their work. I know I just dropped several hundred words prior to getting to this point but trust me when I say this is the actual meat of the meeting. A mature team with a good Facilitator will fly through the Check-In Round, Checklist Review, Metrics Review, and Project Updates, leaving the bulk of the meeting for building and processing the agenda. Most people think somebody should “own” the agenda to a meeting and share it ahead of time so everyone knows what we will be talking about. That’s okay in some very specific situations, but in general we are much more interested in a team building its agenda together. In a meeting like this where it’s all about identifying and unblocking the work we trust the team to elevate the topics that need to be discussed rather than a leader doing it on their own. During this phase of the meeting people call out one or two words as “placeholders” for the things they want to talk about. For instance, if I want to have a conversation with the team about a new policy we’re supposed to be using I might say something like, “new policy” to get it added to the agenda. The Scribe’s job is to add items to the agenda for you, so if you aren’t using a shared piece of software or a whiteboard you can just call out your items into the air and the Scribe will make sure they get on the list. As far as what types of things can go on the agenda… really anything goes! If you need something from a teammate or you need to tell the team something or you want to request that someone do something or you need support or you just want to get some feedback or you want to get some advice or or or. You get the picture. This is all about people getting what they need to move the work forward. Don’t be shy about adding items to the agenda — this is your space to get what you need! The Facilitator helps the team turn agenda items turn into decisions, conversations, next actions, new projects, etc. Now that we have an agenda that was built in real-time by the team, the Facilitator facilitates the team through processing it. In whatever order they choose, the Facilitator helps whoever added an item to the agenda get what they need. That language is specific for a reason. Just because an item is on the agenda does not mean that it’s an open invitation to have a wide ranging conversation about things related (or not so related) to that topic. Instead, this is specifically about helping the person who added the item get what they need. Maybe they need a quick conversation to get some reactions. Or maybe they need to setup some 1:1 time with a teammate. Or maybe they need a specific piece of advice. The Facilitator is there to make sure they get what they need as efficiently as possible so that we can move on to the next item. As agenda items are getting processed quite often they will result in “next actions” for somebody on the team to take. The Scribe’s job is to be listening for these commitments and capturing them publicly. Sometimes an outcome from an agenda item is actually a new project and in that case the Scribe will add a new project to the project list. A key feature of this meeting is making sure all commitments are captured publicly so that there is no confusion about who said they’d do what. 1. If you try to redirect a conversation toward something you need (effectively highjacking somebody else’s agenda item) a good Facilitator is going to cut you off and tell you to add an item to the agenda. Don’t worry — it takes some practice to break old habits! 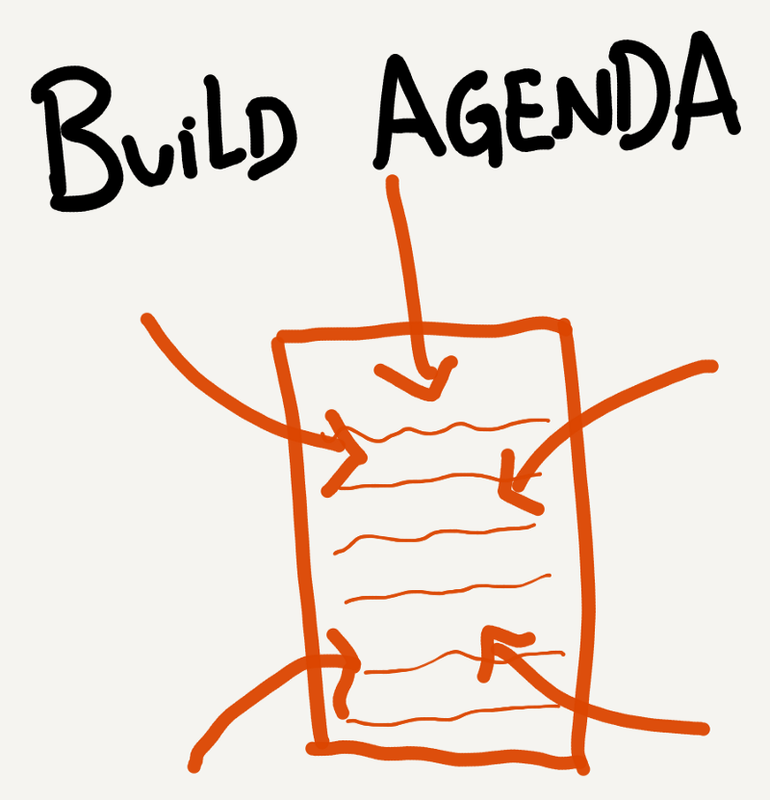 You can add agenda items at any time so just call out a placeholder phrase to the Scribe or add it yourself. 2. Sometimes the outcome of an Action Meeting are a bunch of next actions for people to go have 1:1 meetings with each other. This may feel like we wasted our time together. However, we would argue that a bunch of 1:1 conversations that could theoretically happen concurrently is a much better use of the team’s time than two people having what amounts to a 1:1 conversation while everybody else watches. It’s okay to come out of an Action Meeting with a bunch of other meetings! 3. The Facilitator has complete ownership over the duration and order that items are processed from the Agenda. If the team is running out of time a good Facilitator will try to make sure the most critical items are processed first (and may ask for assistance from the team in identifying those). Otherwise, the Facilitator can jump around and do them in whatever order they want! Practice makes perfect. Use the Check Out for a quick burst of retrospection and learning. Action Meetings are not a one-time event. Instead, think of them more as a practice. Because they are done every week (usually) you have many opportunities to get better at them. That’s what the Check-Out round is for. It’s an opportunity for the team to take a second and ask themselves how they did. Typical closing round questions include, “What did you notice?” or “How did we show up?” or “What can we do better next time?” No need to record the answers or spend a lot of time processing them. Just taking a second to think through the question and say your answer out loud is enough to make sure we are learning from each meeting. 1. It can be easy to skip the Check-Out round when you run out of time. It’s okay if this happens occasionally but if your team regularly skips the Check-Out round then you’re missing one of the most important parts of doing this meeting. 2. You can do a Check-Out popcorn style or in a round. If nobody speaks up during popcorn style, switch over to a round and ask everybody to share an answer. Most folks don’t have much experience participating in highly facilitated or structured meetings. Following the structure I just laid out above can feel really counterintuitive at first. Feel that discomfort — and then do it anyway! Think of it as playing a board game for the first time. The first couple times you play you need to keep referring back to the rules to make sure you’re doing it right but pretty soon you get to the point where you stop thinking about the rules and you just play the game. Most teams need two or three attempts at this meeting type before they feel comfortable. Be patient and give yourself the time to understand the structure before you throw it away as overly complex or convoluted. Having an experienced facilitator certainly helps a team get over that initial discomfort. A dedicated tool like Parabol can also help! The first time team’s run this meeting they almost inevitably want to spend most of the time arguing about what their metrics should be. I recommend not talking about metrics at all in your first meeting. Focus on capturing the team’s ongoing work and come back to metrics later. The metrics are meant to be highly specific to the team so sometimes it takes a few weeks to get a sense of what the most meaningful numbers to track might be. Let them emerge over time instead of getting hung up on them early on. The same goes for checklist items. Don’t put the first things that come to mind into your checklist review. See what keeps coming up over the course of couple weeks and let that guide the checklist items you decide to track. In general, a project is anything that the team wants to track that is going to take more than one working session to finish. However, teams may adjust which projects they actually add to their dashboard and track during their weekly action meeting based on the nature of their work together. In general, what you don’t want to do is have each person bring their individual list of projects and combine them into one huge list. Instead, the team should be tracking projects that a.) are useful for everyone to have perspective on, b.) require cross-functional collaboration from people on the team, c.) are relevant to the team’s overall purpose. Remember, adding a project to the Project List only commits the team to hearing about it during the Project Update portion of the meeting — which should be tightly facilitated anyway. Over time your team will get a feel for the level of project that is most useful to track in this meeting. I’ve seen many corporate meetings where it’s extremely easy to show up unprepared. Teams who adopt the Action Meeting format are actively moving away from a paradigm where only one person needs to think about the meeting (usually the leader) and instead the whole team needs to come ready to play. That means you need to have thought about what items you want to add to the Agenda, that you’re prepared to update the Projects you’re leading, and are generally ready to be a fully engaged member of the team. This meeting structure does not work if nobody wants to be there. I just wrote so many words about the ins-and-outs of how to do this meeting and why it’s so great — but now I’m here to tell you that the reason we love this meeting format so much at The Ready has very little to do with the actual hour or so you may spend each week doing it. Teams who do regular Action Meetings with each other not only have a better experience meeting but they actually become a more capable team outside the meeting. Doing an Action Meeting each week gets teams wrestling with other key ideas in their organizational operating system. It’s impossible to use this weekly meeting format for more than a couple weeks without starting to bump up against some larger ideas that are connected to their overall organizational operating system. Topics related to authority, decision making rights, accountability, communication, psychological safety, organizational debt, and team structure inevitably come to the forefront. These topics, and the deliberate decisions teams and organizations make about them, are the backbone of healthy organizational operating systems. In many ways, doing a weekly Action Meeting is the Trojan Horse in which other important ideas related to organization design show up. Any team benefits from this experience but the effect is particularly pronounced with leadership teams. Every single time I’ve introduced a leadership team to the Action Meeting format they’ve realized they have been spending too much time in the weeds and they needed to do some work on the operating system in which where the rest of their organization runs. To organization designers like us at The Ready, that’s absolute music to our ears. So, yes, do an Action Meeting each week because it is an incredibly effective way to get clear on the work that your team needs to be doing and to make sure everyone is unblocked for the week ahead. But also do an Action Meeting each week because it will make your team, and your organization, better by creating a structured space where team members can be heard and important ideas related to adaptive org design can be brought to light. In other words, come for the better meetings but stay for the ever better organization. * We owe a significant debt of gratitude to Brian Robertson and HolacracyOne for figuring out and sharing the basic structure of Action Meetings in what they call Tactical Meetings. If you’re curious about the origins of this meeting it’s definitely worth checking out Holacracy. Thanks to Alison Randel for sharing her insights with me as a seasoned Action Meeting facilitator and Tim Casasola, Jurriaan Kamer, and Spencer Pitman for editing and feedback assistance. I think meaning exists at two very different scales. The more common and overarching “macro” meaning that lives at the organizational level and the equally important meaning that is derived on a moment-to-moment basis while doing almost anything the right way (let’s call it “micro” meaning for now). Consultants and the organizations in which they consult spend a lot of time talking about the first one and a lot less talking about the second one. Macro meaning is generally pretty easy to identify and talk about. It’s about doing good in the world and creating a positive impact in your community. It’s the difference between a non-profit bringing clean drinking water to the people of the world and a company bottling clean water from Michigan while its residents continue to drink poison from their taps. Most people want to feel like their work has meaning (even if there is a significant dose of cognitive dissonance that must be managed). When you spend as much time at work as most of us do, the idea that what we do doesn’t matter is a quick recipe for disengagement and apathy. Macro meaning tends to live at the organizational level and when we talk about it we are mostly talking about organizational purpose. It’s all about what the organization exists to do and whether we believe that is worthwhile. I’m more interested in the other kind of meaning, though. The smaller one. The one that exists at an individual level and is built and re-built hundreds of times throughout the day. Moment-to-moment, activity-to-activity, thought-to-thought. This kind of meaning is what’s built when the way in which you are working and interacting aligns with your values. It’s the decisions you make about how to tackle a piece of work or how to have a conversation with your boss or how to show up in a meeting. I’m having trouble defining this feeling with words, so instead I’ll share a couple examples from my own work life. I know how dangerous distractions can be when trying to do something that requires concentration and focus. When I take action to limit distractions during an activity (like writing this article) I feel like I’m doing it right. It’s easier not to turn on Do Not Disturb or put my devices in Airplane Mode or not switch over to Twitter the second I get stuck with what I’m trying to write. But every time I setup my environment in a way that allows me to do what I need to do well and I avoid the temptations to break concentration I feel like what I’m doing is more meaningful. If it’s worth the extra effort to do well then it must be worth doing. Another example from a typical day; when I show up to meetings on time, or ideally, a little bit early. Not every meeting is one that I look forward to (shocker, I know) and the temptation is to stroll into those just as it’s starting or even a little bit afterward. Every time that happens, though, I can feel the cracks forming in my meaning foundation. I think it taps into a feeling that I don’t have any volitional control over my time and attention so showing up a little bit late is the (lamest) act of subconscious rebellion. Showing up early, ready to go, and fully focused for a meeting isn’t always the easiest thing, but when I do it I feel like my work has more meaning and that I’m showing up the right way. One last example. On any given day there is almost always a mix of actions I could take but the overall order of operations is completely up to me. Very few things must be finished today. Things could get moved to tomorrow, later in the week, and truthfully, could probably never get done and the world wouldn’t stop spinning. When I’m not feeling connected to my work and it’s not feeling meaningful in any way, the way I tackle those tasks is often dumb. I’ll look at everything I need to do and I’ll do the easiest thing first. Then I’ll do the next easiest thing. I essentially take everything I need to do and reverse sort on Difficulty. That wouldn’t be a huge deal if nothing new was being added to my list but because I work in a company (kind of two, actually — The Ready and my client) there are always new tasks (e.g. emails and Slack messages) that are entering my consciousness and getting kicked to the top of my reverse sorted Difficulty list. The next thing I know, I’ve spent 8 hours doing easy (and mostly unimportant) stuff while surfing along the top of my email inbox and Slack notifications. The clean inboxes at the end of the day come at the cost of having to actually do anything difficult or worthwhile or meaningful. In all three of these examples the common theme is having control over my attention. When I make deliberate choices about how to spend my attention I generally feel like my work has more meaning. 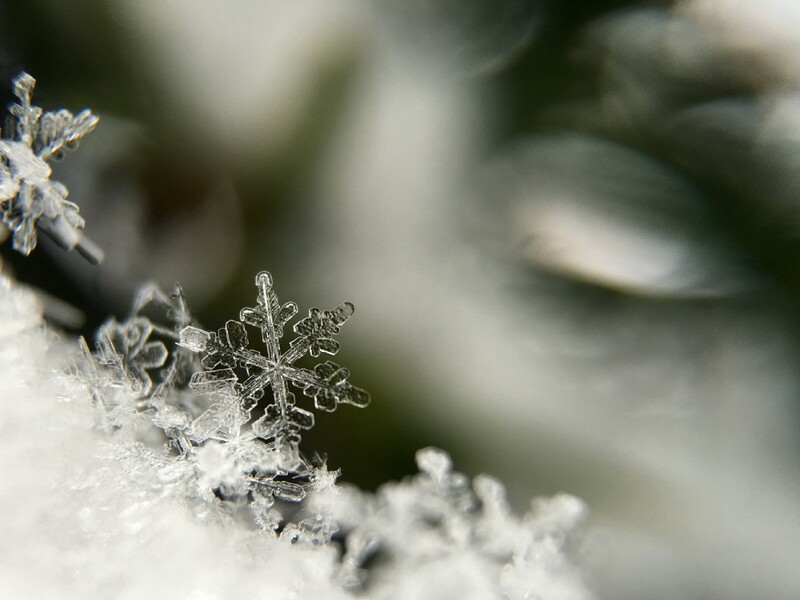 When I let my attention be buffeted by things outside my control it feels like nothing I do matters. That’s why having a conversation, responding to an email, and writing this article could all be opportunities to build a sense of meaning in my work, or they could all be opportunities to destroy a sense of meaning in my work. It’s not the what but the how that matters. I think a surprising amount of the organizational dysfunctions we see in our consulting and you probably live on a day-to-day basis can be tracked back to that sense of moment-to-moment meaning that happens at an individual level. When you multiply that feeling, or lack of feeling, across hundreds or thousands of people in an organization you get some effects that are far more than the sum of their parts and why extremely minor shifts in how we all approach our work may be more of a solution than it first appears. I have a lot more to say about this but let’s end it here for now. What do you think? When do you feel like your work has the most meaning? When do you feel like what you’re doing doesn’t matter at all? What am I missing from my description? Holacracy is the new rage when it comes to organizational structure. It’s a relatively radical new approach that distributes power, tries to remove hierarchy in favor of self-organizing teams, and strives to make organizations leaner and more adaptable. Holacracy proponents argue the world moves too quickly for the stolid organizational structures and procedures of the past. Companies need to be nimble and make decisions that can be implemented and iterated on quickly. Holacracy tries to support this reality by removing the more rigid aspects of organizational structure that most of us recognize in an attempt to make working for the organization more efficient, productive, and even more meaningful. Personal skepticism aside about the need for leadership, direction, and whether hierarchy can ever really be eliminated (I don’t have personal experience working in a holacratic organization) I do acknowledge that holacracy is an exciting development for much of the knowledge work world and may be extremely beneficial when thoroughly adopted. For an organization to really thrive in a holacratic structure, though, I think there are some pretty crucial psychological characteristics employees need to develop. In fact these psychological characteristics apply in any organization that offers even a modicum of autonomy in terms of how you do your work. Autonomy in your job can be an incredibly motivating characteristic but only if you have the skills to take advantage of it. People with high self-leadership are able to take action on the things they know they need to do even when they don’t necessarily feel like doing it. In an organizational structure where there is no direct feedback coming from a superior it places the onus for figuring out what to do and then making sure it gets done on the individual employee. Employees with high self-leadership can guide their own behavior with a minimum of oversight. Self-leadership can take many different forms, from behavioral strategies like self-reward or self-punishment, to finding enjoyment in the work itself, to structuring your environment to support your work intentions, and a host of other techniques. The whole point of adopting a holacratic structure is to make the organization more capable of getting things done (which, ironically, is also why more rigid structures were originally created, too). Regardless of structure, an organization is only going to be as productive as the individuals who make it up. Ideally holacracy cuts through the red tape and bureaucracy that often blocks personal productivity. Employees with a relentless drive toward completion and a high level of self-leadership are going to become even more valuable members of the team. Managers often remove ambiguity for employees by assigning work and giving feedback. Holacracy removes this which means you need to be much better at being okay with ambiguity. Entrepreneurs have generally accepted this as part of the experience of getting into that line of work whereas the world of steady full-time employment has usually minimized it (i.e. job descriptions, performance evaluations, etc.). That divide is being closed as being an employee becomes more like being an entrepreneur. Fluid situations that are constantly changing are by their very nature ambiguous. Removing that ambiguity may feel nice and secure in the moment but in practicality is nearly impossible. Instead, employees have to get better at reconciling the complexity they perceive on a daily basis with the desire to have discrete projects and make visible progress. It’s still possible to do both of these things, but the path to completion is likely to be much more winding than it used to be. Organizations usually have a good handle on their economic and physical capital. It’s relatively easy to see and wrap your arms around those concepts. Even social capital, the relationships among the members of an organization, can be observed and noted. However, quite possibly the most important type of capital to the success of any organization is psychological capital — the extent to which its members have Resilience, Efficacy, Optimism, and Hope. Without this an organization has nothing. It seems to me that holacracy eliminates the productive layer that can act as a buffer between employees with low PsyCap and their impact on the organization. For better or worse, PsyCap will have a greater impact on the holacratic organization. Luckily, it appears that PsyCap can be taught, enhanced, and developed. Coincidentally (or maybe not) these are the same characteristics I’ve been homing in on for my research on independent workers and entrepreneurs. We know that the ranks of the independent are growing and if we begin to include the employees of holacratic organizations then the number of people who need development in these characteristics is growing even quicker than I first thought. Do you work in an organization that has adopted a holacratic structure? What has your experience been? More generally, where does autonomy feel like more of a curse than a blessing in your job (regardless of whether it’s within a holacratic organization or not)? I’m writing to propose a new position that companies should be hiring for. I don’t have a good name for it yet (I’d love to hear your ideas.) I’m also 95% sure this position doesn’t already exist in most companies but if it does exist in yours then props to you. From what I can tell not many companies are thinking about what an organizational development/positive psychologist/coach/personal productivity expert/researcher could bring to the table. Firstly, let’s lay out what someone in this position would need in order to do this job well (in no particular order): insatiable curiosity around what it means to do great work on an individual, team, and organizational level; a deep knowledge of productivity best-practices and the contextual factors that limit or enhance each; coaching expertise; a working knowledge of foundational positive psychology, organizational psychology, cognitive psychology, and leadership theories and concepts; the interpersonal skills to facilitate small group discussions, workshops, and one-on-one conversations; a deep appreciation for the power of scientific experimentation and the willingness to use those principles in the quest for more efficient, meaningful and productive work; and a dedication to uncovering the best processes, systems, and approaches to helping an organization operate as efficiently and meaningfully as possible. I think the benefits of having someone on the team who is constantly thinking about how to amplify everyone else’s impact on an individual level (“making people better”), at the group level (“making teams better”), and at the organizational level (“making systems and processes better”) would be huge. That’s not to say this is the only person who would be thinking about these topics. However, hiring someone whose express job it is to think about and act on this stuff not only ensures that someone is thinking about it, but it frees up everyone else to use more of their cognitive ability for the substantive work that justifies the organization’s existence. The pace of work in most companies is accelerating and being responsive, agile, and innovative may be buzzwords but they also ring true for many companies striving to make an impact in the world. Someone in this position not only frees people up to become more fully engaged in their primary work tasks, but also ensures that everything else that can be done to amplify the effectiveness of the organization is being done. This isn’t a general HR position or a short-term consulting gig or even a training and development specialist. I’m talking about someone who is much more baked into the everyday processes and interactions in an organization and whose only job is to make sure everyone else can be even better in their roles. One person could cover a ton of ground if their primary responsibility was to simply ensure that the organization was firing on all cylinders (and to maybe find cylinders that aren’t even firing yet). Obviously, a small organization needs everyone to be operating at full capacity at all times in order to be successful. However, small organizations and startups often quickly grow to the point where questions need to be answered about organizational structure, norms, culture, etc. that often get (not) made by default (to everyone’s detriment) instead of being consciously and deliberately decided. The person in this role would be expected to notice when this is happening and step in to facilitate the process of making these decisions consciously. Figure out what training/development/support individual employees need and either develop or find the appropriate resources. Figure out what training/development/support teams need and either develop or find the appropriate resources for them. Assess communication (how we email/text/Slack) and operating norms (how we schedule meetings, run meetings, do our daily routine work, make time for non-urgent but important work, how we keep track of who is doing what and by when, etc.) of the organization and suggest/facilitate tweaks where necessary. Work with managers to develop their ability to successfully coach their employees. Work with employees to develop the psychological resources (self-efficacy, hope, optimism, resilience, grit, self-leadership, etc.) to thrive at work (and beyond). Work with members of the leadership team on developing leadership capabilities. Assess and facilitate tweaks to physical workspaces given the best environmental psychology evidence. Stay up to date on organizational psychology research that may be relevant to the organization and translate/synthesize findings into useful information for all members of the organization. Be constantly thinking about how the organization goes about getting it’s work done and note areas for improvement. Support all members of the organization in the quest to make work a meaningful growth experience through the way each person approaches their work and makes sense of their role in the organization in an effort to support job satisfaction, engagement, and ultimately organizational performance. Many of these responsibilities are currently offloaded to a hodgepodge of training and development specialists and consultants or thrust upon already overworked managers. The psychological health of an organization is too important to spread across disparate departments and individuals. It needs to be treated holistically and managed intelligently. I’m convinced bringing a positive organizational psychology trained, personal development and personal productivity obsessed, experienced coach and generally insatiably curious person into the fold of an organization would have huge ramifications. The best way I can think of to describe this position is as a catalyst that is constantly circulating through an organization to make sure all the chemical reactions that need to be happening are happening. That areas that need a little boost are being boosted, that areas needing a little cooling get cooled, that by coordinating all the disparate reactions that are happening across the entire system the overall effect can be more explosive and productive than anyone ever expected. This article was originally written for TheWorkologist.com and was published on March 25, 2015.